This parcel quiet, with a residential well, and power to the edge of the lot. Terrain is diverse with part of it flat, and some dunes rising up high enough to see for miles from the top. 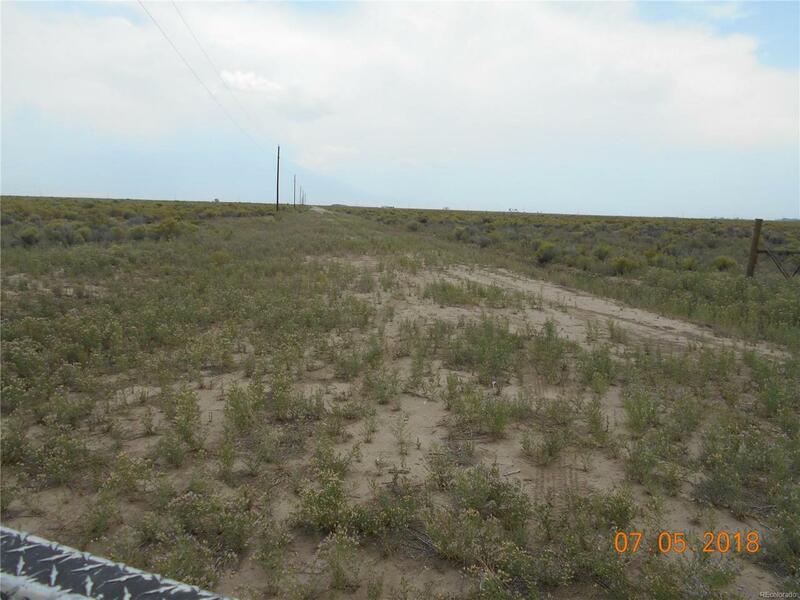 This is a rare chance to own a 39+ acre parcel in an established area with road access, well and all utilities in place.The Circle DJ Ranch is a 2,200 acre family owned estate just a 13 mile drive north and east of the city of Alamosa, which is the county seat. It is approximately 120 miles west of Pueblo, Colorado, 145 miles east of Durango, Colorado, and 90 miles north of Taos, New Mexico. The topography of the parcel ranges from level to slightly rolling pasture from north to south. Brush with moderate grass cover.